Pull Ups Merries Medium size. Unisex. (6-11kg) (13-22lbs) 58 count. 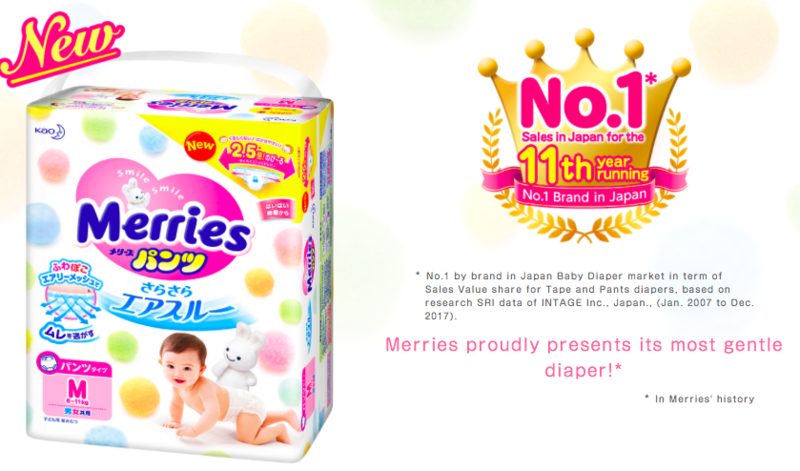 Speaking about diapers and pull Ups Merries, produced in Japan, they have excellent customer reviews. 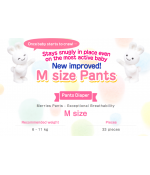 These diapers and pull Ups are thin, exceptionally soft, and perfectly fit a child's abdomen and legs. 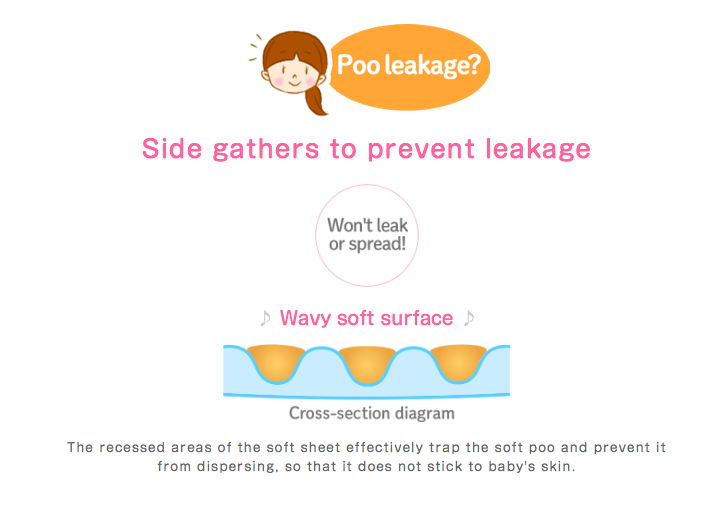 However, these diapers and pull Ups perfectly absorb and do not leak. With diapers and pull Ups Merries one can forget about diaper rash and itching, thanks to the healing extract of Witch hazel, which has anti-microbial and anti-inflammatory action. 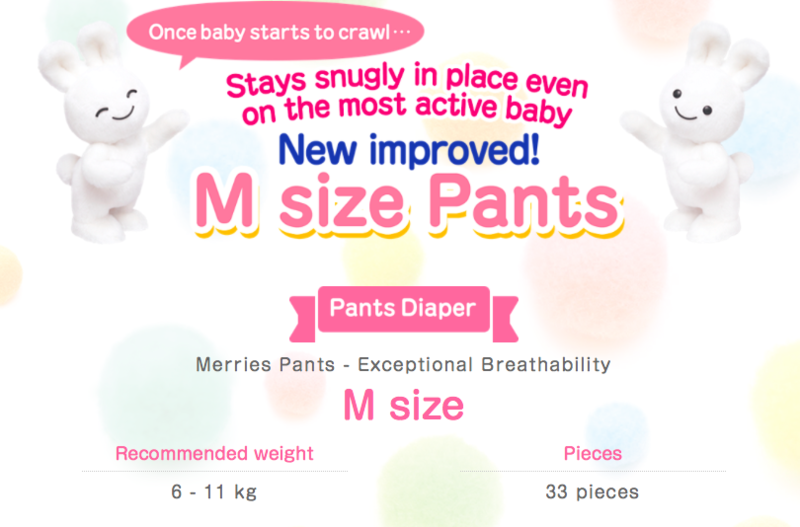 Even when a child pees a lot, his bottom will remain dry and pleasant in diapers and pull Ups Merries. 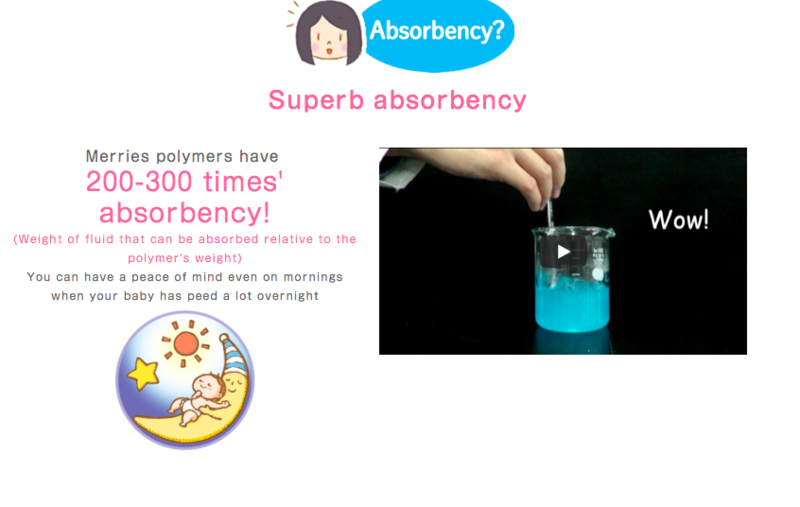 The surface of the diaper that comes into contact with the baby's skin has a "breathable" porous layer. 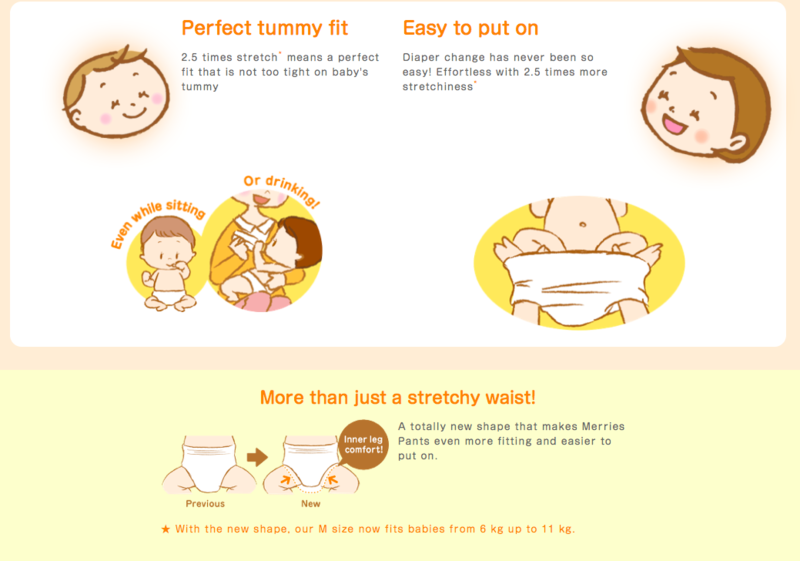 The diaper and pull Ups touches the skin only in certain points and therefore breathability of a diaper is much higher. 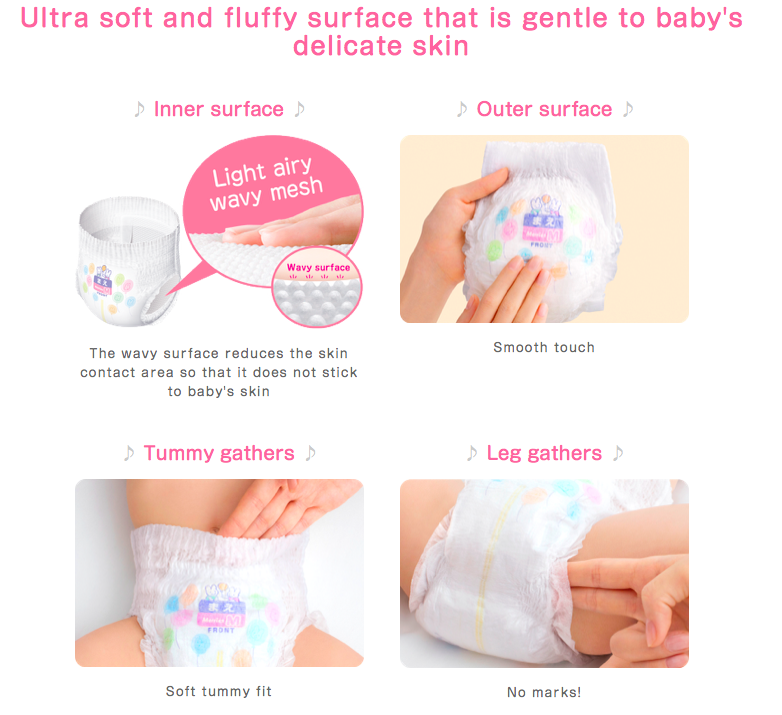 Merries do not stick to the skin and the air passes quickly and easily between the skin and the diaper. 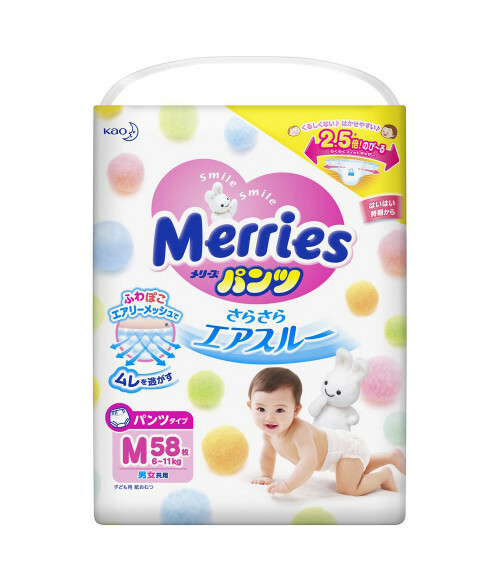 Also the Japanese diapers and pull Ups Merries (Merries sizes M, L, XL), have a special "breathable" gum with exceptional breathability. 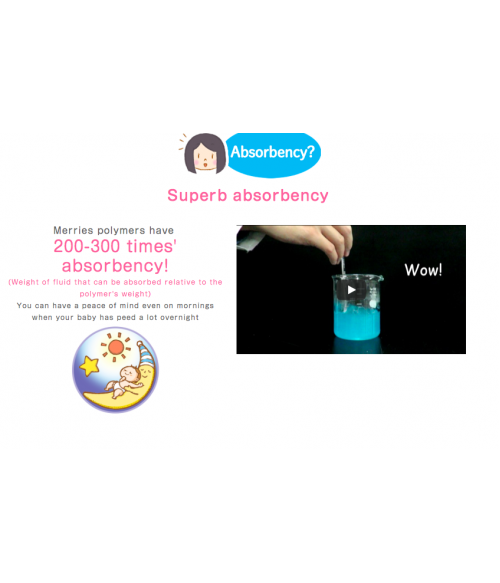 It is located along the gum of the belt in a diaper and now the kid who has been actively moving in Merries is always dry and comfortable, because the belt, where he quickly formed a sweat, is now dry. A flexible non-woven material is used when the “breathable” gum is produced, which gently stretches and compresses the waist of your baby. "Breathable" diaper gum of Merries stays well adjacent to the belt the whole day according to the movement and breathing of the child; and the edge of the diaper does not crash into the tummy and does not cause reddening. 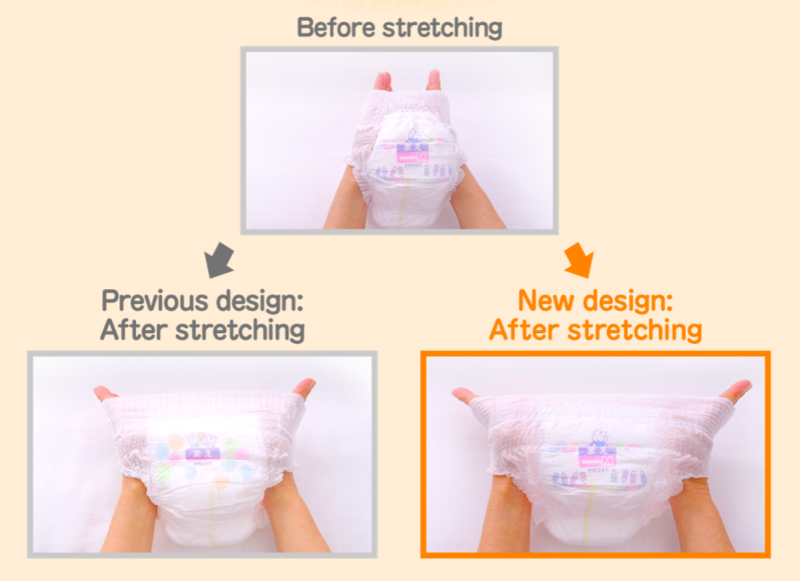 Japanese diapers and pull Ups Merries are made of the materials that passed strict and thorough quality check. 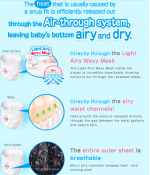 Soft cotton material that makes up the diaper will protect your baby from having chafing. Pull-ups Merries are made of: polyolefin, non-woven polyester, cotton linters, paper, super absorbent polymer, polyolefin film,non-woven polypropylene, polyurethane, and hot melt. Надежные и комфортные трусики ,а главное нравятся моему сыну.